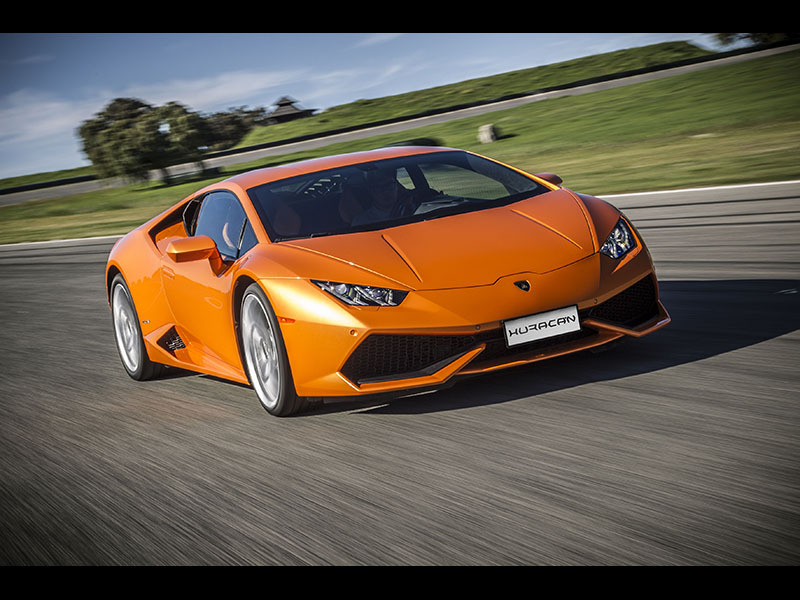 Sant'Agata Bolognese, 06 November 2015 -- Following its successful market introduction in 2014 the Lamborghini Huracán LP 610-4 is now available to order with a number of updates. The new contents focus on efficiency, drivability and luxury and are already available with the 2016 model year. A fine-tuning of the electronically controlled 4WD system provides a neutral and even more improved driving behavior, particularly in STRADA mode. The offer in the color an trim of the Huracán has been significantly enlarged. Interior refinements as standard include leather to door handles and the upper parts of the center console. Air vents are now painted in exclusive matt black. Lamborghini Ad Personam, the brand's customization program, has also added the availability of interior personalization, as well as exterior options including heritage colors and matt paints. The full Ad Personam program provides for owners wishing to further customize their cars to their unique personal tastes. The options program has been further extended. New options available include Lamborghini's Sensonum audio system. The system delivers 390Watts RMS, with a ten-channel amplifier and a range of ten loudspeakers in hexagonal-shaped grilles and the exclusive Sensonum badge. Lamborghini's optional sports exhaust system, which can be specified with astyle package for high gloss black tailpipes, is now available in all markets worldwide. New LED lighting in the engine compartment can be combined with the optional transparent engine bonnet and carbon fiber engine compartment. Cruise Control can be specified, and a travel pack provides additional storage nets front and rear, an additional 12V lighter and cupholders.